Our product range includes a wide range of hand strapping tool for pp pet, pp & pet strap packaging tool, packing hand tool, pp / pet strapping hand tool, packaging tool for pp pet strap and polyester strap tool. 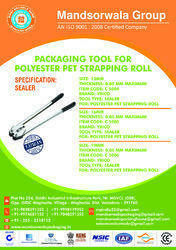 By keeping track of latest market development, we are offering an extensive range of Hand Strapping Tool for PP/PET. 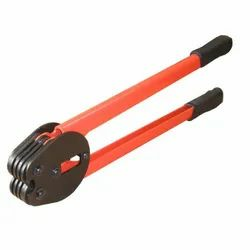 This strapping tool is developed by using top grade material and advanced techniques in compliance with international quality standards. Our provided strapping tool is acclaimed for its durability and excellent finish. 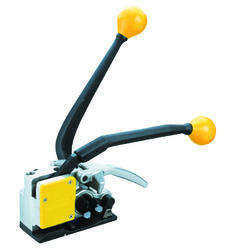 In addition, this strapping tool can be availed from us at market prices. Our in-depth search of the current market development allows us to offer a commendable assortment of PP & Pet Strap Packaging Tool. Our offered packaging tool is treasured among customers owing to its perfect finish. This packaging tool is manufactured by using top grade material and modern techniques, under the guidance of our experts. Also, our packaging tool is inspected on numerous parameters to make certain its flawlessness from our side. Facilitated by technically-advanced process, we are manufacturing, exporting, importing trading and supplying a distinguished range of Packing Hand Tool. 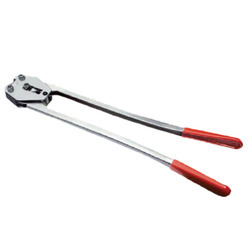 This hand tool is manufactured by high-grade factor inputs and contemporary techniques keeping in mind the set norms. We offer this hand tool in numerous specifications to meet ever-evolving needs of our customers. 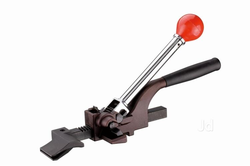 In addition, our hand tool is well known among customers for its longer service life and excellent finish. For 3/8" ~ 3/4" PP & PET strapping. 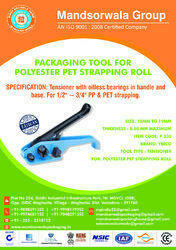 Our firm is involved in manufacturing and supplying a huge range of Polyester Strap Tool. Lightweight & economical tensioner with an oilless bearing between base and windlass. Also with ball bearing between base and leg. 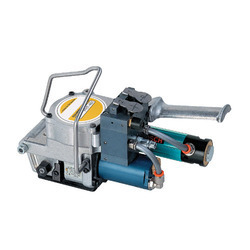 Lightweight & economical tensioner with oilless bearing between base and windlass. Also with ball bearing between base and leg. 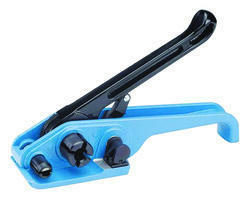 Rack pusher tensioner with nose function for 3/8" ~ 1-1/4" x0.015" ~ 0.031" steel strapping. Use with closed seal or wing seal. Our firm is involved in manufacturing and supplying a huge range of Tool for Packing.